“Do you even know what that is?" 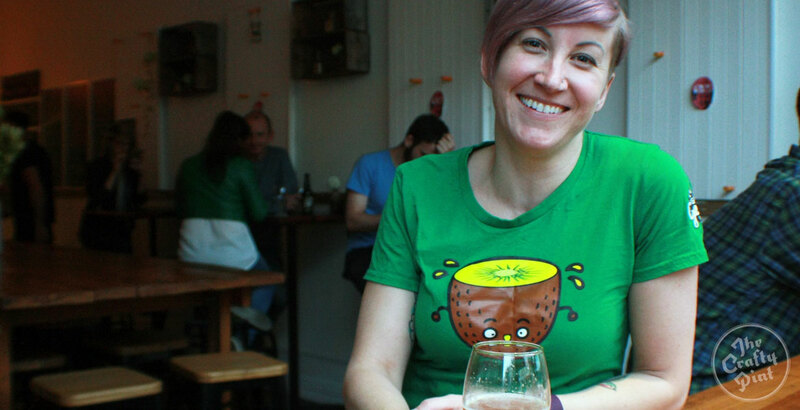 At an industry event this year, Two Birds brewer and international beer judge Jayne Lewis (pictured above) ordered a Cantillon beer from the tap list and, instead of a glass of beer from the iconic Belgian brewer, received that question in response. As an industry stalwart who has been brewing for over a decade, at the likes of Little Creatures and Mountain Goat before launching her own brewing company, it can be assumed that Jayne did, in fact, know what Cantillon was. “I calmly said, 'Yes I do, thank you very much.' I said I was very familiar with the style and that I would indeed like to order it please," she says. Variations on that question – from whether you know what a beer is, to whether you can "handle" your chosen style – are all too familiar to many female beer drinkers, and it seems female brewers are just as susceptible as anyone else. However, according to Jayne, things have definitely improved since she first got involved in beer around 12 years ago, when she would often find herself one of only a handful of women at a beer event. “People always assume you’re a promo girl in some way, shape or form until you start talking about the beers in an ownership capacity," she says. 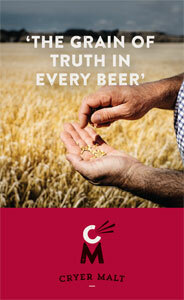 “They suddenly get confused, and you have to say that you’re actually the brewer. More and more women are becoming regular beer drinkers in Australia, and getting involved in the beer scene. But while this change is starting to become apparent at beer events and festivals, other aspects are still playing catch-up. Mainstream media coverage still often zooms in on female drinkers or brewers as a bizarre anomaly, while Fairfax drew ire earlier this year when, somewhere along the line, someone in editorial inserted the click bait title "Can women brew beer?" – a title that bore little relation to the otherwise inoffensive article below. Then you have the advertising campaigns for beers such as Peroni Piccola built on the idea that women want to drink light beers in skinny bottles. 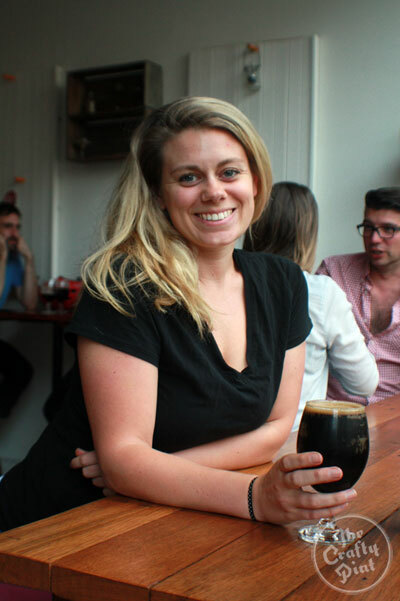 Echoing Jayne's experiences, Tiffany Waldron (pictured), owner of the Collingwood bar Two Row that showcases some of the world's most innovative and frequently challenging beers across its taps, was asked within the last month whether she was sure she wanted an imperial stout. At her own venue, she takes the approach of asking all of her customers whether they’d like a taster of their preferred beer first, or exploring the flavours they might be looking for. “Do they drink wine, or cider, or gin? Off that, I can usually find something for them to taste they might be interested in. It's an approach that takes away any possible gender stereotyping of peoples’ beverage choices, and, Tiffany says, is simply part of being a good host. While she can explore the narrative of flavour within her own venue, Tiffany has been frustrated to see the level of innuendo that is often built into commercial Australian beer advertising, or around events such as Oktoberfest. “You see this Oktoberfest stuff with women holding beer steins over their chests. That stuff is worse than being surprised at women drinking beer," she says. The concept of selling beer through “women, gorgeous women” may not have as much traction among the smaller breweries in Australia, but does rear its head from time to time, much to the chagrin of women trying to enjoy their limited release barley wine. “I once worked for a beer company here and the manager told me he was going to hire some models to stand at the stand and pour beers. I looked straight at him and said, ‘If you do that, I’m walking away right now’,” Tiffany says. For Jayne, the "babes and beer" approach seems to be particularly prevalent in Australian beer culture. “Hats off, to a certain extent, to the marketing people for beer in the last 20 to 30 years who have drummed into Australian females that it’s not OK to drink beer," she says. "The number of females who wear it like a badge at a festival and say, ‘Oh, I don’t drink beer’ is staggering. “The marketing to men to the exclusion of women for all this time has actually had a really profound effect. [As brewers] we get to travel around the world and see all these different countries. In Belgium you’ll see 50-year-old women sitting there drinking a beer like it ain’t no thang. Breaking through 30 years of male-focused advertising could be considered quite an undertaking, but the smaller players seem to be leading the charge. Good Beer Week general manager Kate Paterson says the annual beer festival is attracting more females every year, with women making up 37 percent of attendees at the 2015 festival, based on stats derived from ticket sales and the post festival survey. Ensuring the festival – which long had a 50/50 gender split on its organising committee and currently has Kate and fellow beer industry stalwart Siobhan Kerin in its two most prominent roles – steers clear of such marketing helps to pave the way for more women to get involved, she says. Inclusive marketing helps the festival steer clear of women expecting a room full of guys with beards when they walk in. The other tool in the arsenal for women trying to bring in more women is education. 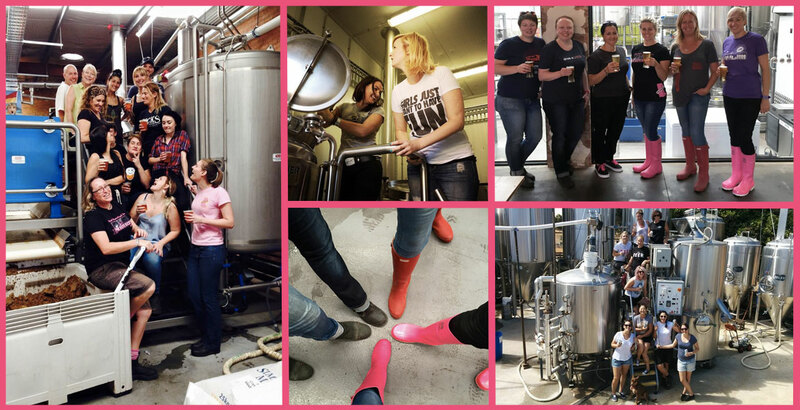 The Pink Boots Society, which has been in operation internationally for eight years, has chapters across Australia taking part in collaboration brews (pictured below) and providing educational opportunities for women in the industry looking to further their knowledge. Jayne, Tiffany and Kate all took part in the Victorian chapter’s recent collaboration brew out at the Two Birds nest, and, in what can only be seen as a positive for women in the beer world, the resulting beer, the Neneh Cherry Saison, took out the Australian Craft Beer Industry Association award for Best French / Belgian beer at the recent Craft Beer Awards in Sydney. Jayne and the Two Birds crew also picked up gold medals for their Golden and Sunset Ales, as well as being named Champion Large Craft Brewery for the second year in a row. Then, days later, she and business partner Danielle Allen discovered a real ale version of their Sunset Ale they'd brewed at Everards in the UK had been named Champion Beer at the Wetherspoon's Real Ale Festival. Outside of making award-winning beers, the benefit in the organisation is capturing the breadth of skills from women across the industry and being able to bounce ideas off each other, Kate says. There is agreement amongst the Pink Boots group that educating people beyond the industry requires a multi-pronged approach. Non-gendered marketing, education, and continuing to challenge current stereotypes are all required. “It’s just putting forward a collective voice of what we’re trying to say, but I think overall we’re doing a pretty good job,” Kate says. While moving the mindset of commercial beer companies or the wider drinking public may be an ongoing battle, educating women and men from within the craft industry is the best way forward, according to Jayne. “Sometimes we cop flak for doing things like [women in beer] talks as well, asking why it’s even necessary, why we need to have that conversation. About the author: Kerry McBride is a reformed journalist who has taken the well-trodden path from Wellington to Melbourne. Her love for bad puns is matched only by her love of hoppy beers and Hallertau Funkonnay. If you missed it, check out our article on new Melbourne craft beer mag Froth, conceived, funded and edited by Emily Day. Yes, a woman.